Millions of his fans were left shocked by his sudden departure from social media — and found some creative ways to express themselves over the absence of the ‘Egyptian King’. Following two days of social media silence, the football star made his way back onto our timelines with a big reveal: his ‘disappearance’ was all part a ‘The Human Network’ campaign by DHL — much to the relief of his devoted followers. But things were taken a step further. 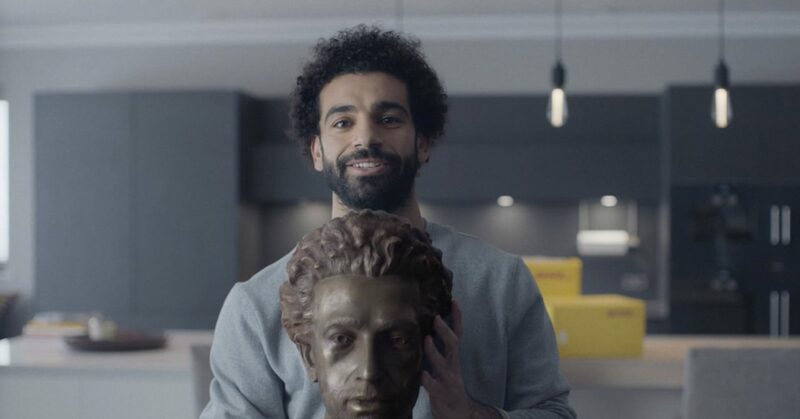 To celebrate their 50-year anniversary, DHL Express decided to connect 50 fans with Salah by arranging deliveries of their letters and impressive fan art (including an awesome sculpture of Salah’s head!) directly to the footballer. previousWhy Has Mo Salah Shut Down All His Social Media Accounts?